I've watched every press video over the last few days, and even though each one is basically exactly the same, they all get me even more excited for tonight! Just hoping I can find some street parking thats not miles away. Im not even going to be there tonight - but I know I will shed tears watching. Such a momentous moment for all Newcastle Eagles Family past, present, future and absent, as well as for the community of Newcastle West End. I will be settling down in my Eagles kit with a bottle of Champagne tonight in front of BBC Sport. Sad but true! I am sure it will be one hell of an evening. Congratulations, cheers and make it the loudest and biggest night in our proud and successful history. We have a home for the first time, this is special. Sorry to bring up the court markings again... but I'm interested in what's involved in laying a full court cover. I think Lions had this at the Copper Box at the very start of the season but don't seem to have used it since. Always thought it looked great when there'd be a logo in the centre circle too but they have only done this rarely for the odd TV appearance. Is it just the man power to do it, or are there issues with durability of the product or how it affects the players' footing? There has been quite a few times in the last 4/5 seasons since I have been helping out on game nights that the rolls have separated causing a lip on the court, as well as times the court has actually visibly come up off the floor. Decals on the court also started coming up in the last few seasons meaning when it was loose a ref would have to pull it up until it was flush. quite a few of the markings on the court at sport central had actually been replaced with black tape at some time or another. Edit: Plus there's the downside of playing on what is essentially lino when you have been practicing on hardwood. You’re correct, and I was thinking about that myself the other day. Lions certainly had a new court service at the start of this season, used it for a few games, and I haven’t seen it since (they’ve gone back to taping over the lines). I was wondering why they stopped using it, and I hope they kept the receipt! I enjoy that many non-Eagles fans are genuinely pleased and excited about tonight. Hopefully there'll be many more threads and nights like this in the future as other clubs grab their own future by the balls. Well done to all at the Eagles who were involved in this. I think it's difficult to overstate the enormity and importance of this achievement. I totally agree. It was great fo follow Leicesters build as it was coming along. I am already excited to see Bristols plans come along and whoever else follows after. Couldn't be more pleased for them - congratulations to everyone involved and I hope its a massive success tonight and for many years to come. Well the arena is fantastic everything I thought it would be. It is our home now end of a long journey. it looks impressive driving along Scotswood road especially the illuminated sign. And all the money at the food and drink stalls goes to the club now. As I asked in other thread shandy. Is it not a community stadium like ours? Irf to me the club is both the ECF and the bbl side. Paul Blake in a previous interview said the eagles will double the match night turnover with the new arena. Maybe all the profits from match nights go to the bbl team and not the ECF. Maybe the previous arena took everything and didn't allow anything ? I love the eagles logo on the building though. And there's nothing wrong with promoting the club. I guess theres the actual name of the arena somewhere else and the other partners etc? Spoke to Sam Blake yesterday evening at the arena after I had tabled the junior national League games. She was sitting at the reception desk taking it all in. The eagles team had trained earlier before going to Surrey whilst the junior cvl games were going on at the same time on the other courts and this was her dream and it has now happened. It is home to the whole eagles family. well done to all involved. 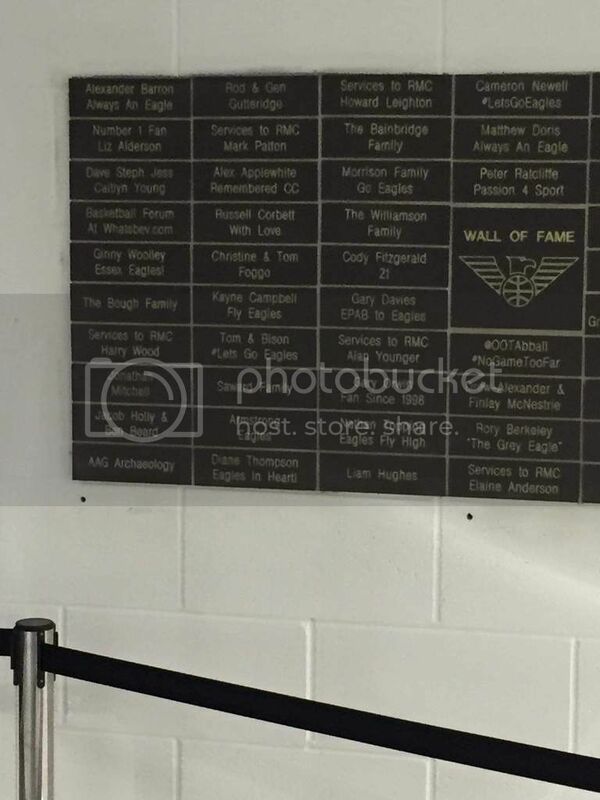 Thanks for pics Gonk, but what about the walk of fame ? Second this. For all his argumentative ways on here he's a top fella really! 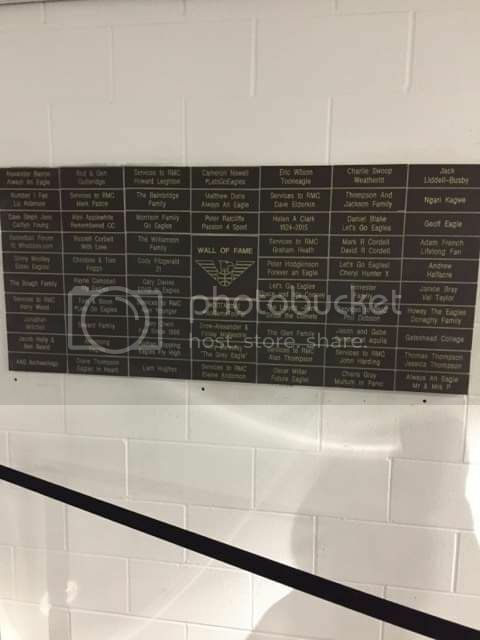 I still think this ‘wall of fame’ idea is a brilliant one. If Lions ever own their own arena and were to do similar I’d be the first in line, it’s just a little extra way to feel connected to the club. Well done Eagles. Still researching the ECA Curse theory, and found this 1963 photo of the Grapes Hotel at the bottom of Hawes Street , taken from Scotswood Road exactly where the ECA is now. Could it have really been the Sour Grapes Hotel ?